How I keep my long-term investing outlook? 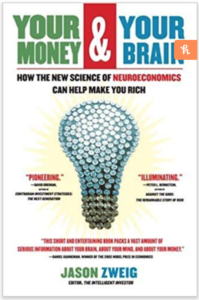 During the holidays, I had some idle time and I re-read parts of Jason Zweig’s 2007 book, Your Money & Your Brain. It’s a good book with lots of interesting anecdotes. It was also one of my early reads into investor psychology. In one section appropriately named Fighting Your Fears, Zweig recounted how Joe Montana helped his teammates relax during the 1989 Super Bowl by distracting them when they were all stressed out. His team, San Francisco 49ers, was down by three points with only three minutes left in the game. He then pointed out John Candy sitting in the stands. The players all turned to look at the comedian, a distraction that allowed their minds to tune out the stress of the game. Something like this could help investors out too when they are feeling stressed by unexpected market moves. Zweig suggested we all need to create our own John Candy moment when we feel overwhelmed by a risk. 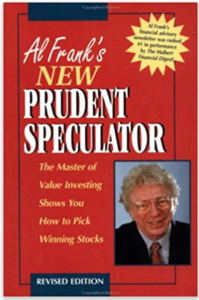 Late Al Frank who was a full-time money manager and the author of the book, The Prudent Speculator, used to say that he goes to movies often when the stock market is acting up. We all probably could have used some distraction while stocks were on a wild ride last month. To break your anxiety, go for a walk, hit the gym, call a friend, play with your kids. Never invest to make quick bucks. My first (and perhaps the most obvious) rule is never to invest any money in stocks that I might need in the next 4 to 5 years. This means if I were saving for a house down payment or kids’ college when they were already in high school, that money wouldn’t be going in mutual funds or common stocks. On the other hand, if you are a habitual saver and sit down think about where you plan to spend your savings eventually, chances are you will find that a lot of your savings isn’t needed in the next five years. I know that has been the way it is for me. As I wrote in a previous post (Seeking instant wealth? Don’t! ), people seek to quickly double or quadruple their savings for two reasons. One, it’s the thrill of doing it. Two, they might be running out of time. Why limit how much of my savings I can invest? See the next rule. Five-year horizon. Once I’ve invested, I can’t take that money out for the next five years. No matter what! Not because the stock market is tanking, and I’m convinced it has more room to fall. Not because the media is convinced that the country’s economy is in bad shape and bad things are imminent. Why this five year wait? As I have written previously (see Yes stocks are volatile), the market history tells us that a one-year investment is almost like a coin flip — I’d have an equal chance of getting a positive or negative return. If I leave my money invested for five years, my possible downside is about the same as if I buy bonds. My upside is much larger than bonds however. Even if those five years involve a bear market. You’d be surprised how your own perspective will change when you don’t plan on making quick bucks in six months (or one year) and exit a position. I know it helps me. Since I know getting in that I won’t be allowed to take the money out for the next five years, it forces me to be more thorough and disciplined in my approach. Consider how big institutional investors handle their private equity (PE) investments. They would invest in a PE fund where their money is locked up for up to ten years with no possibility of redemptions. This illiquidity helps both parties: Investors tend to be more careful in selecting which PE fund manager to invest with. And PE mangers, unlike mutual fund managers, have far more flexibility in how they invest in long-term deals on behalf of their clients without worrying about short-term hiccups. Illiquidity induces appropriate long-term behavior. Rather than relying on liquid markets to trade out of mistakes, investors in illiquid securities enter into long-term arrangements, purchasing part ownership in a business with which they have to live. I analyzed David Swensen’s investing approach in a prior blog post here. Slow down. I deliberately slow down all my investing actions. These actions could be either buying or selling activities that I am about to undertake. Or they could be as simple as just checking stock prices or portfolio values. When it comes to investing, I believe in an unemotional rational approach. Intuitions, impulses, and emotions have no place in long-term investing. Along these lines, I have a seven-day waiting rule. When some unexpected news breaks out about a company that I am invested in, I might be tempted to take immediate actions — sell my shares or buy some more. But I force myself to wait. I let my analytical mind ponder over it for a few days. And also make my emotional brain relax and drain away nervous energy from the system. So I wait at least seven days before taking an action — no matter how good or bad the news might be. In the same vein, this slow-down also applies to how often I check price quotes and my portfolio performance. My broker and my smartphone make it too easy for me to check stocks and watch news every day. If I were checking my positions once a day, I now do it once a week. The truth is I often lose track of stock prices of my holdings. As I mentioned in my previous blog post, I try not to anchor on stock prices. I listened to Mike Hanson of Fisher Investments the other day (Market Insights podcast). He pointed out how an increase in market volatility makes people watch news and check their balances more. All these actions cause fatigue. He then quoted General Patton: “Fatigue makes cowards of us all”. This is so true. Investor fatigue is not a good thing either. As I wrote in another blog (It’s not healthy to check stock prices every day), if you check your stock portfolio every minute the market is open, you are setting yourself up for failure. Have faith. Developing a long-term mindset has no meaning unless I have faith in long-term investing. I do. Stocks are fractional ownership in businesses. And U.S. economy has proven its steadfast upward climb. Stock investing is not a zero-sum game where it might keep circling back to the same square one. I follow these rules because I believe I can grow my savings by staying invested in stocks over the long run. Paraphrasing Charles Ellis from Winning The Loser’s Game, the longer I hold stocks, the less my risk and the surer my gain. I penalize myself in some way whenever I break one of these rules. Today I am a veteran investor. I’ve been following these rules for many years. I have gotten used to them. But in my early years as an investor, even with good intentions I would break a rule once in a while. I might have become too fearful of an investment’s recent poor performance and tried to bail out early. I might have been tempted by the potential of quick return and overlooked its long-term outlook. Often, these near-term impulses have a way to punish us — by causing money losses and opportunity costs. Ken Fisher coined the phrase The Great Humiliator for the stock market because it makes investors look like fools. See this post: Why does the stock market mock us? Other times, my impulsive action might not cause any direct money loss. For instance, when I have held on to a position while it dipped and now that it has recovered to my original cost, I am tempted to bail out. To deter myself from doing this, I penalize myself by taking 10% out of that position and donating it to a charity. I might still go ahead and bail out early but when weighing pros and cons of the decision, that 10% forced donation would also be on my mind. We humans don’t like to take losses if we can help it. 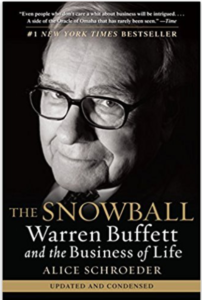 Alice Schroeder in The Snowball wrote how Warren Buffett would force himself to lose weight by wagering money with his kids. 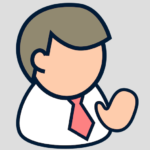 If by the end of a period, he weighed more than some agreed upon number, he’d lose his bet and pay them. It turned out that he hated losing so much that he would force himself to stay in shape and win the bet. Along the same lines, my 10% penalty whenever I break a rule would hopefully keep me in good investing shape.